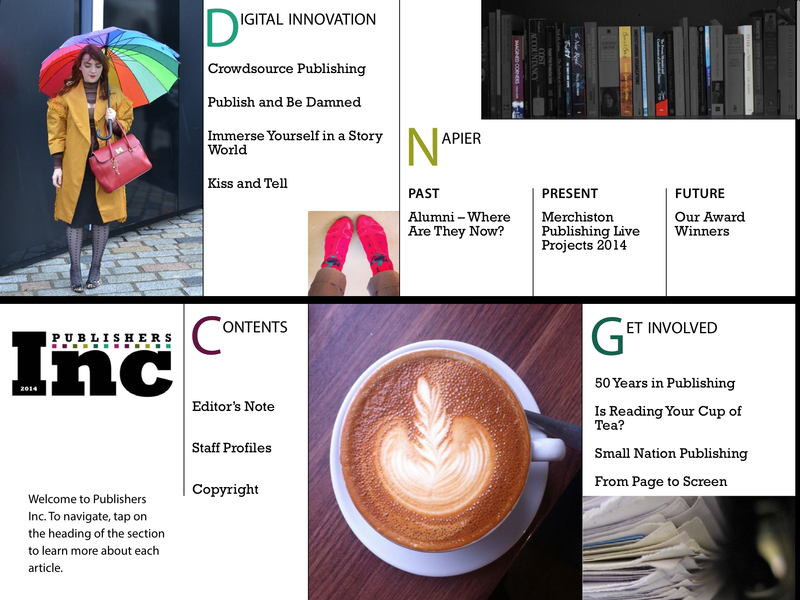 Publishers Inc 2016 is an interactive digital magazine created by Edinburgh Napier University postgraduate publishing students. It is our third year running as a digital magazine but for the first time this year, Publishers Inc is available on both tablet and desktop. The 2016 issue covers a variety of topics – from new ways of publishing content to the re-emergence of the Scottish comics scene. 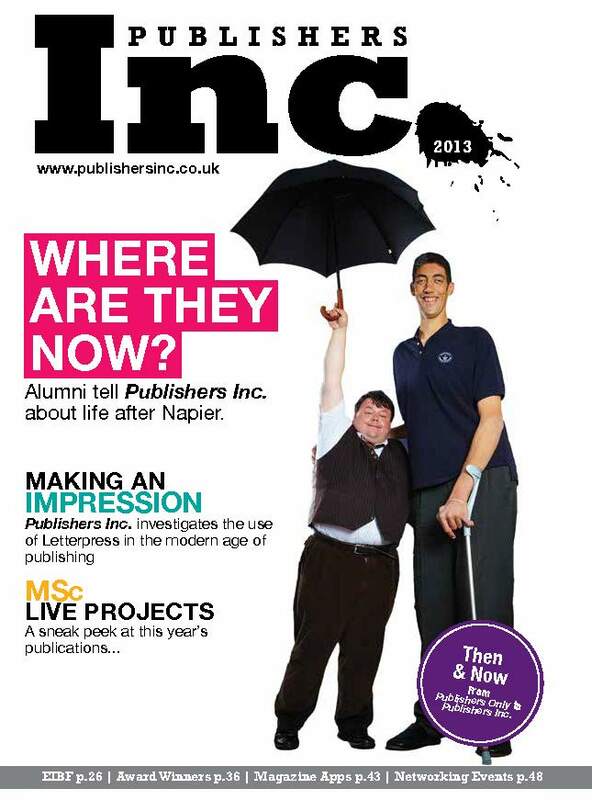 We also checked in with our alumni and pulled together advice for prospective publishers from industry professionals. Our editorial features are modishly concise with functional, yet beautiful design to grip readers’ attention. To see who are the busy-bees that worked on the project this year visit the Meet the Team page. 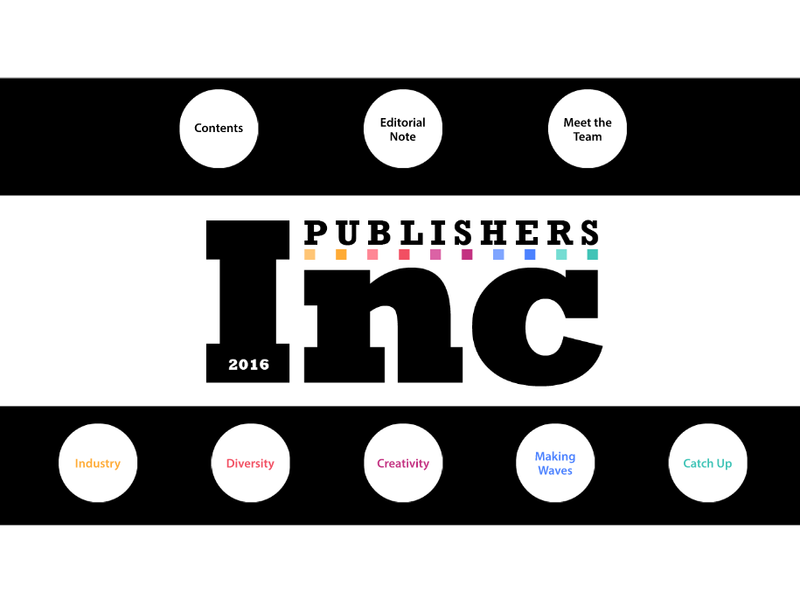 Let us know what you think about Publishers Inc on Twitter, we would love to hear your thoughts!